How to tell whether your primer or foundation is oil, silicone or water-based? Does it matter? Only if you want your beautifully crafted look to stay still all day long. Read this guide and find out whether oil, silicone or water-based makeup is right for you. 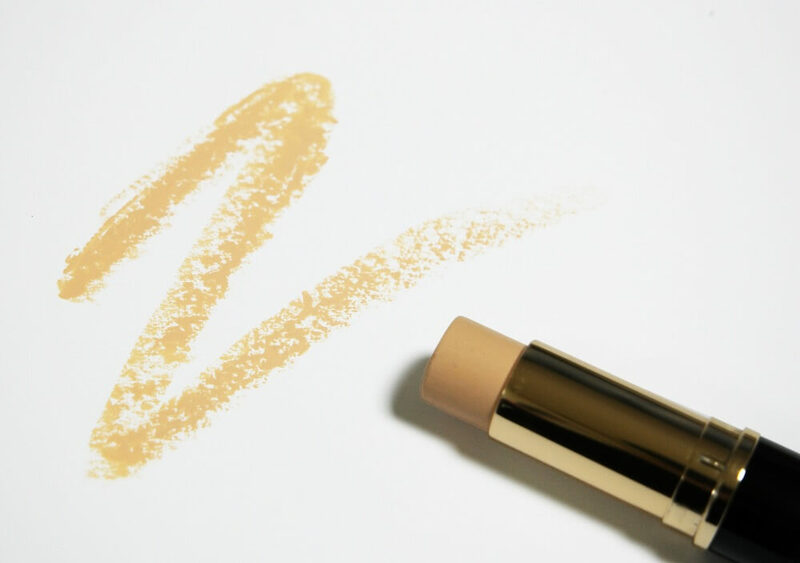 How to tell if your foundation or primer is oil, water or silicone-based? Should I use water, oil or silicone-based makeup? Let’s take a look at the different names these different types of ingredients go by, and see what they can do for you. 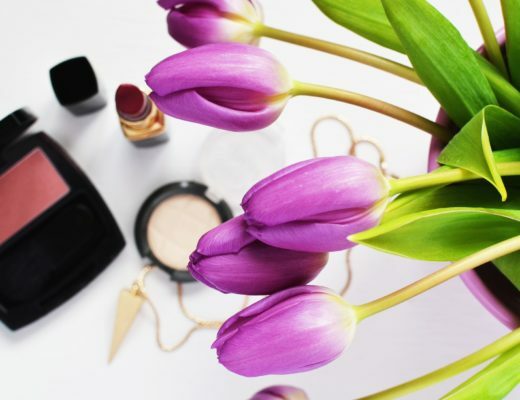 It may not seem that crucial to know the base ingredient of your makeup products, but it can affect the way they behave together and even on their own. Different skin types also benefit from different base ingredients. Looking for a list of silicone-based foundations? Check me out! Otherwise, just keep reading. Take a look at the product’s ingredients list. Any liquid product will contain water, so we’ll look for ingredients that look like silicone or oil-based first. Silicone-based primers/foundations contain ingredients that have -cone, -methicone, -silicate or -siloxane in them. These ingredients will be near the top of the list. If you have the item in hand, you can also tell if it’s silicone-based by how it feels when spread on the skin. Silicone-based primers for example tend to glide on the skin, smoothing out textural differences. They will most often contain water as well for consistency, but the fact that they contain multiple silicones near the beginning of the ingredients list will tell you that the product is in fact silicone-based. 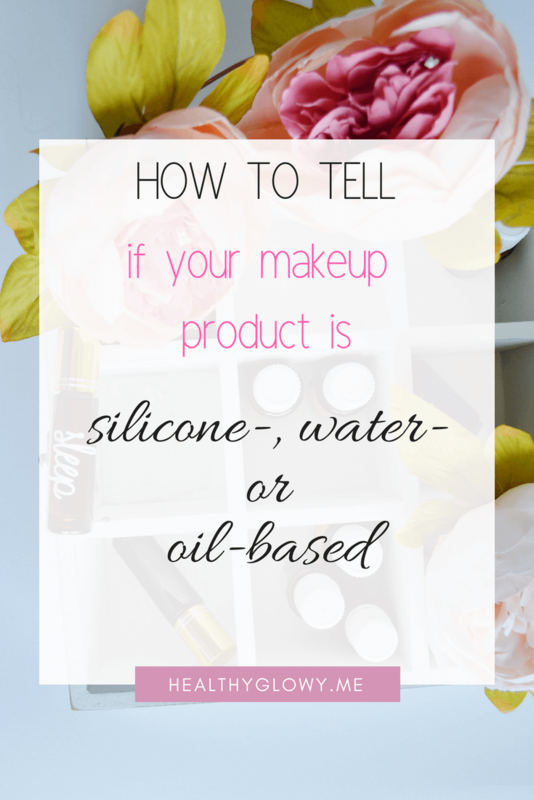 Oil-based makeup is less common, so it’s highly likely that the product you’re investigating is either silicone or water-based, rather than oil. However, to figure out whether it truly is oil-based, look for ingredients that either look like oils (has the word “oil” in it, duh) or are made from fatty acids, such as decyl oleate. Those can be trickier though if you’re not familiar with the names of those particular ingredients. Again, these oily substances are going to be near the beginning of the list. These products’ ingredients may also include some silicones and water but containing a substantial amount of oils is what makes them oil-based. Yeah, I know, it’s confusing. I’m going to list some of the most common ingredients of these different types in a minute so you can use that as a reference. Water-based makeup (primers, foundation etc.) doesn’t contain silicone or oil close to the top of the list. What do they contain then? Well, water of course, and a bunch of ingredients you’ve probably never heard of. The point is that there are no large amounts of silicone or oil. The product may still contain either of these, but they should be lower on the ingredients list. Okay, so now we know what’s what. But how do we know which one to use? Let’s see. Oil-based primers and other makeup products tend to make your skin feel more hydrated, but can also make it feel oily or shiny. On a skin that’s already very oily this is not ideal, but for people with dry skin this may be exactly what they need. 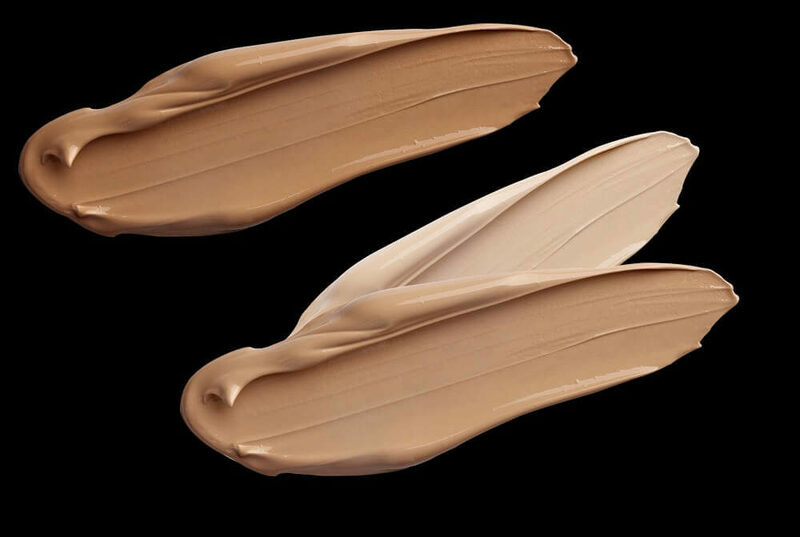 Silicone-based foundation and primers have a very different feel compared to oil and water-based products. Some people love the slick, glossy smoothness and how they glide over the skin, whereas others hate that and think that it’s making their skin feel greasy. There is some argument about whether silicone-based makeup clogs pores and contributes to acne. However, they do tend to fill enlarged pores better and so make them appear smaller. As long as the product is washed off properly at the end of the day it shouldn’t cause any problems. Not all ingredients even of the same base type are made the same though. Some silicones for example are cheaper than others (looking at you, dimethicone), may not come off the skin as easily and tend to accumulate. Cyclopentasiloxane is a lot better option but also more expensive. This means that silicone makeup will stick better if you sweat or get caught in a sudden rain. However, if you like the fact that your water-based foundation is easy to remove, then that’s what you should go with. Only mix water with water! You’ll want to use water-based primers with water-based foundation (including BB creams, concealers, tinted moisturizers and such). Layering silicone and water-based products on top of each other causes the silicone to repel the water, and may result in pilling and an uneven foundation. Oil-based products should work okay with silicone-based ones though. If you are using moisturizer and/or sunscreen under your foundation (you definitely should! ), apply those first and let them absorb completely before adding primer onto your skin. Try to avoid using too much primer, especially if it’s silicone-based, as it can end up turning into clumps and won’t help the foundation to stick. Water-based primer will absorb into your skin better so you won’t have to be as careful with that. When applying primer, take a small amount of it on your finger and tap it into your skin. If you have enlarged pores pay more attention to the area where they are located and carefully fill them in with the primer. I’ve written another guide about the best pore minimizing products in which I review my favorites (including some awesome pore reducer primers). 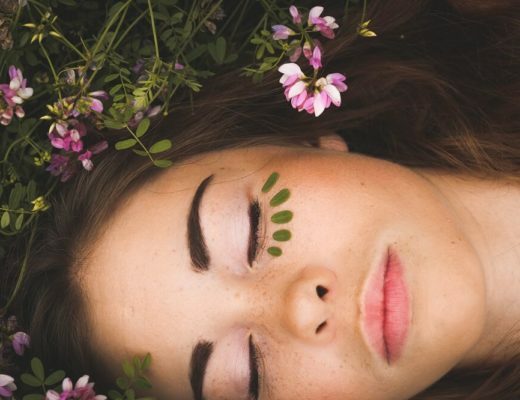 Whether you prefer water, oil or silicone-based foundation and other makeup, you can be sure that it has its benefits as well as the correct way to use it. If you’re not sure which one is the perfect option for you, choosing the right base type for your cosmetics can definitely make you scratch your head (it definitely did that to me). Hopefully you feel a bit more confident about the subject now, and will never have to experience the problems caused by mixing incompatible products again, let alone using the wrong ingredients for your skin type!